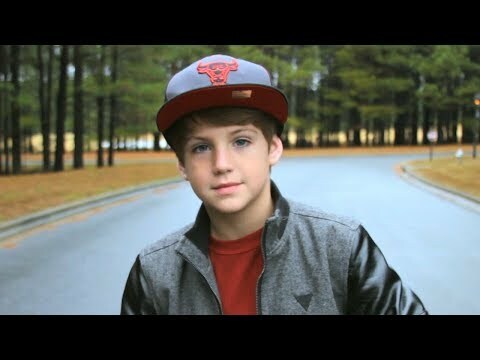 I saw MattyB at a grocery store in Los Angeles yesterday. I told him how cool it was to meet him in person, but I didn’t want to be a douche and bother him and ask him for photos or anything. The girl at the counter was very nice about it and professional, and was like “Sir, you need to pay for those first.” At first he kept pretending to be tired and not hear her, but eventually turned back around and brought them to the counter. When she took one of the bars and started scanning it multiple times, he stopped her and told her to scan them each individually “to prevent any electrical infetterence,” and then turned around and winked at me. I don’t even think that’s a word. After she scanned each bar and put them in a bag and started to say the price, he kept interrupting her by yawning really loudly.